Heavy Duty Metal Tyre Changer Mounting Head for Motocycle Wheels. 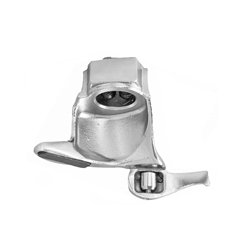 This Metal Tyre Changer Mounting Head is compatible for use with some Butler Tyre Changers. The Demount Head is designed to fit Motocycle Wheels. Boss fits a 27.5mm shaft. This demount has 2 x rear grub screws and 2 x front grub screws - see images.